I could not have done this push-up 20 years ago! Summer is almost over and it’s time to start thinking about fall weather, school starting, and, dare I say it, the Holidays. My youngest son, Will, is starting kindergarten at a new elementary school this year. This is going to be a big change for him and my wife and I. Our little Stinky is getting big! It’s time for both of my boys to go back to school. This summer has been full of traveling, staying up late, fishing, and just general craziness. They need a change in their daily schedule. A change that has more structure and discipline. They will certainly benefit from this change from summer fun to a structured school routine. As with my kids, I need to change my routine now. My exercise routine. I’ve found myself getting into the same old exercise routine. A routine that has gotten a bit boring and mind numbing. I always use this time of the year to analyze my workouts and see where I need to make changes. I’ve really gotten into High-Intensity Circuit Training for the past 5 months and have neglected standard weight-lifiting. The circuit training has certainly kept me at a top physical fitness level and has kept off the unwanted pounds that so many people put on towards the end of summer. I also like to eat an occasional cheeseburger and drink a glass of wine or 2 (or 3). Yesterday was my first day of change in my daily exercise routine. I got back into lifting weights or strength training. I am SO sore today. Pull-ups, chest presses, and flyes. Heavy weights. Circuit training is definitely a great way to stay in shape, but so is standard strength training. My body has gotten use to being beat up by circuit training. I had reached a plateau. Changing my exercise program to something a little different will certainly change my body for the better and progress me to an even higher level of fitness. When working out, I don’t compare myself to others on the fitness floor. I compare myself to me when I was in the Marine Corps 20 years ago. I’ve found that consistently changing my exercise routine over these last 20 years has made me leaner and stronger. My cardiovascular endurance is equivalent, maybe even a little better, than when I was 21 years old. My balance and coordination have improved immensely since being consistent with changes in exercises. As a matter of fact, all 11 components of physical fitness have only improved over these many years of exercise and consistent change in my work-outs. There’s no reason to believe your body diminishes as you get older! I’m 44 years old now. Making changes in my exercise routine along with consistency and healthy eating has kept me at the same weight I was in 1994 when I left the Marines. So don’t get stuck in the same pattern of exercise. Try to mix it up now. Get that body you had 20 years ago. It will take hard work and discipline, but so does everything else in life. 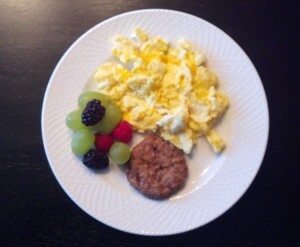 Stay focused on your new exercise program and be consistent with healthy eating. Because the change you make in your daily exercise routine today will change your body and the way you feel about yourself for the rest of your life. Change is Good! 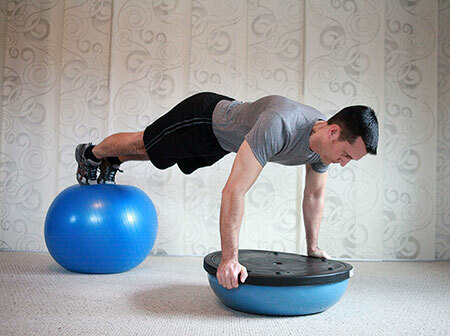 There are so many ab exercises out there and it’s difficult to pinpoint which are the best. I tell my clients that all ab exercises are great and to remember that doing abdominal exercises will not reduce fat in the midsection. Abdominal exercises will help to increase strength in your core and also tighten up the midsection. However, body fat will not be burned off in the abdominal region by doing 1,000 crunches a day! Body fat reduction will occur when caloric intake is reduced and cardiovascular work is intensified. Ab exercises are not to be done every day. Your abs are just like any other muscle group, they need to rest and recover after a hard workout. The abdominal muscles need to repair and grow in order to become stronger after being broken down. Rest is the key. Abs should be trained 2 to 3 times per week. Nothing more! So if you are doing crunches, leg lifts, and planks every day, stop this routine now. Spend that time doing more high intensity cardio bouts and cutting back on food and/or alcohol intake. Now, time for the list of the 5 best ab exercises that I believe are the best for strengthening and shaping the abdominal muscles. A written description of each exercise is not adequate enough to properly describe each exercise. Therefore, I’ve provided a YouTube video on our YouTube channel. You must see each exercise demonstrated properly in order for you to perfrom them properly. Some of these exercises may be advanced for some of you, so be sure to be cautious yet confident when doing them. Good Luck! Leg Lift with a ball exchange from hands to feet. When performing these exercises, as with all exercises no matter what the muscle group, be sure to use slow and controlled motions and always go though a full range of motion. 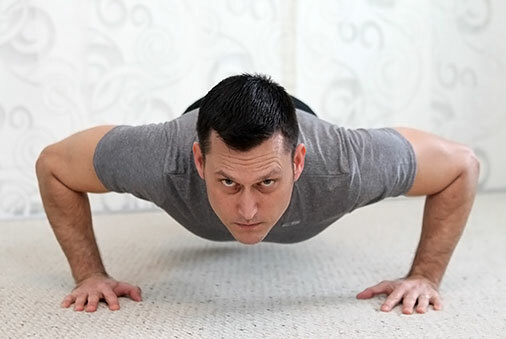 Always try to contract or “squeeze” the abdominal muscles tight when crunching up or doing a plank. Form is most important when performing any exercise, especially the abs. You don’t want to over strain the low back and have an injury sideline you from working out for a few weeks. If the exercise becomes too tiring and your form starts to break, you should stop that set and rest. These are my favorite ab exercises to do. You’ll hear differently from other health professionals and fitness enthusiasts, as with any other subject. All ab exercises are good as long as you are actually doing them properly and consistently. Please remember the most important information here. Ab exercises will help to strengthen and shape your abdominal muscles. These exercises will not burn fat in the midsection. Increase your cardio intensity and step away from the dinner table in order to decrease your body fat. The combination of proper nutrition and daily exercise will help you to get the abs you want. Ladies, being physically fit is not just about looking good in a bikini or having a tight backside or not having fat dangling from your arms when waving. Gentlemen, being physically fit is not about how much weight you can bench press, how big your biceps are or weather you have a four pack or a six pack for abs. Believe me, this is all good stuff. However, everyone should consider all aspects of physical fitness in order to be defined as a physically fit individual. 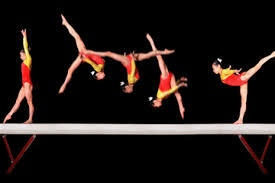 There are 11 components of physical fitness. If you are not incorporating all components of physical fitness into your daily exercise program, then you are not doing enough to improve your fitness level and overall health. All 11 components of fitness are present in everyone’s daily lives. You just may not realize it. For instance, you use agility when walking quickly through a crowd during Christmas shopping at the mall. Muscular strength and endurance is being used when unloading a carload of groceries from Costco. Your reaction time is being challenged every day you drive your car to work or drive the kids to school. Your body composition is stagnating every time you choose not to go for a long walk outside and instead sit on the couch watching Real Housewives or your favorite sports team. Trying to incorporate 10 of the 11 components into one workout may seem impossible. (I say 10 because while body composition is impacted by exercise it is not an actionable part of a work-out). But, take some time and consider a training session that utilizes an exercise step or BOSU, some dumbbells, a medicine ball, and your body. 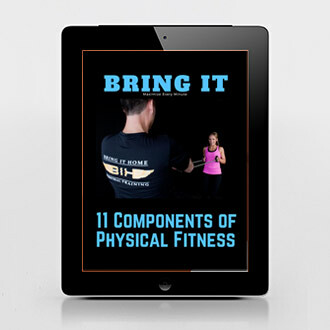 You will find you can incorporate the 10 components into one workout. I’m not going to bore you with written details as how to set up a circuit of exercises that mix in all the components of physical fitness. The best way to do this is by showing you. My YouTube videos demonstrate some of the best, most efficient ways to include a number of exercises that will challenge you in all areas of physical fitness. These videos are just demonstrations that may educate you and hopefully make you sweat a bit. Knowing all 11 components of physical fitness will help you to be stronger, leaner, and will increase your fitness level at any age. These components should not be forgotten when heading off to the gym or when heading out for an evening walk. 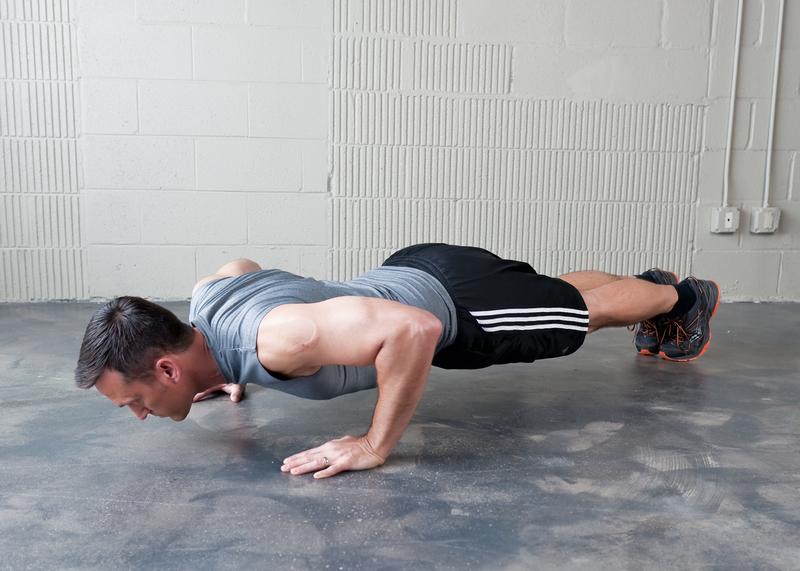 You may find yourself doing an extra push-up or picking up your pace and starting into a light jog. Enjoy your training and have fun!